This was based on a recipe from an old roommate that was way fluffier and covered in chocolate. I kept the good stuff, added other stuff (like pumpkin – can’t get enough!!) and they turned out! Also since I’ve made them many times and don’t really follow recipes (even my own), the below is an approximation of what happened last time. Combine dry ingredients. Stir in wet ingredients. Press into foil-lined 9×13 pan. Bake in preheated 350 oven for 15 – 20 minutes. (If you’re melting chocolate chips on top, do that at the end) Store in refrigerator. 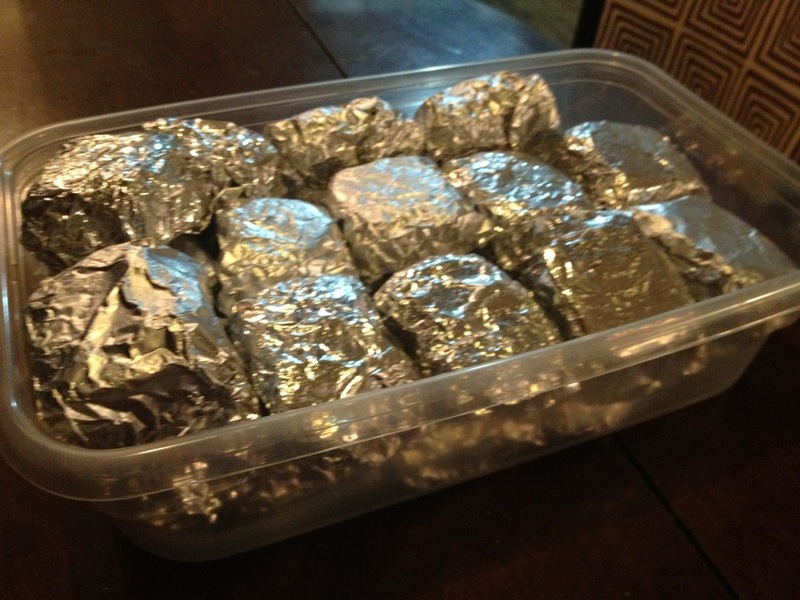 I wouldn’t be concerned about your aluminum foil use. NY County accepts and recycles residential aluminum foil unless heavily soiled (and I doubt these bars create much, if any, residual mess.) So, reuse it or stick it in the recycling bin! I make bars similar to this too. They are great as portable meals! These made my kitchen smell incredible! I cannot wait to wake up and eat them. In homage to the chameleon kitchen creed I have adapted this recipe to my cupboards. Mine are crumbly and delicious. 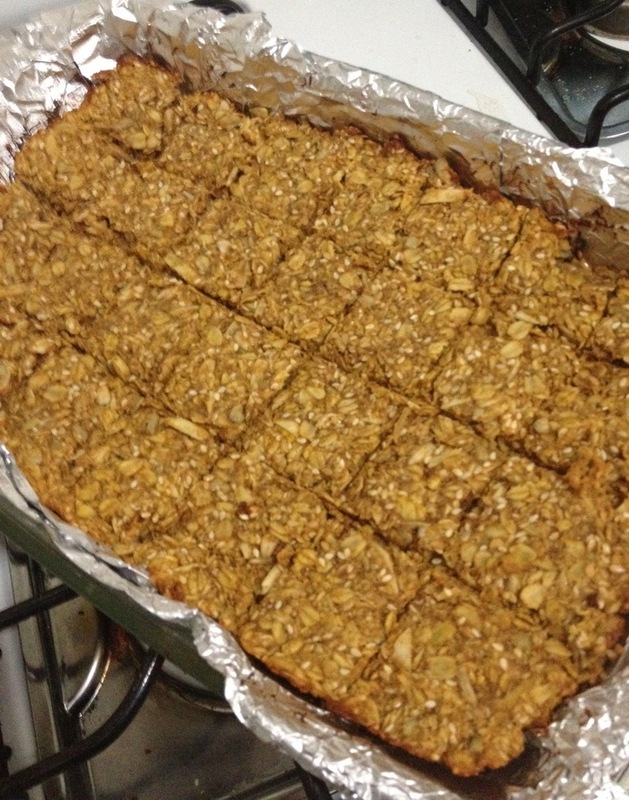 I cut them larger because I like to make sure that I get a substantial breakfast and it still made 14 bars. Thanks!